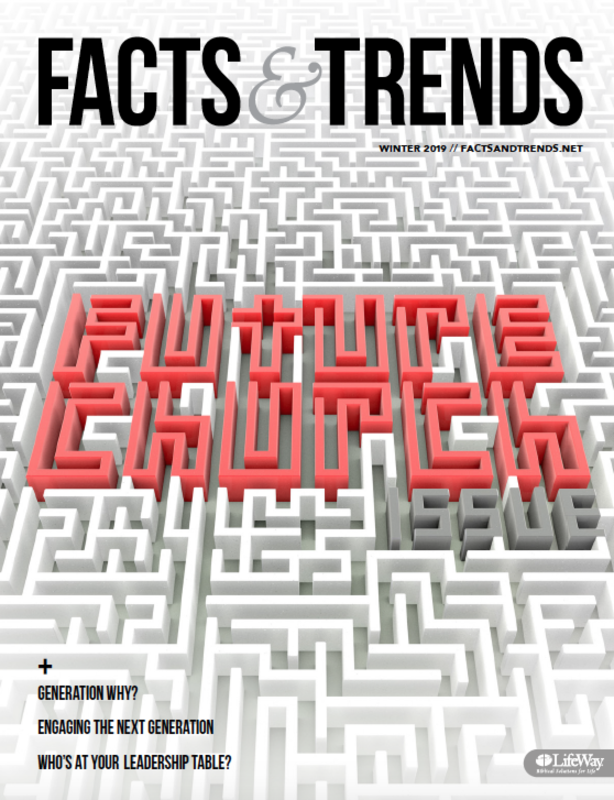 In “6 Reasons Millennials Aren’t at Your Church,” we looked at the statistical data behind why an individual church may not be effective in reaching young adults. LifeWay Research found 70 percent of young adults who indicated they attended church regularly for at least one year in high school do drop out of regular church attendance. That does not mean, however, they have left never to return. In fact, according to LifeWay Research, almost two-thirds return and currently attend church (within the time frame of the study). That same study found most don’t make a conscious decision to leave due to a doctrinal dispute or significant disagreement. They simply drift away because the church doesn’t seem as important to their lives as it once did. Many have looked at a church and decided it is no longer relevant. So how can churches change that? What can you do to draw millennials to your church and have them plant roots in your congregation? In research for their book The Millennials, Thom and Jess Rainer found over half of millennials saw the internet as a positive influence and 55 percent said they found influence on websites and blogs. You need to be there. Think of it this way, without an online presence your church can only have an influence on those who come to your building or whom you visit personally. By using social media and blogs, you can reach people around the world any time day or night—including the millennial who lives down the street from your church and just googled your name to see what you are all about. Recently, our church established Twitter hashtags for our services and included a brief explanation in the bulletin to encourage people to share sermon quotes and meaningful experiences. That simple step lets millennials and other technologically-geared individuals know that you care what they think. 2. Invest outside your walls. For millennials, the community is not a pool of prospects, but a place for service. They want to see the church actively involved in helping make the community and the lives of those in it better. It’s not enough to go out on a Saturday and hand out invitations. For millennials, they believe the church should find ways to minister and tangibly show the love of Christ to others. They want to be part of something like The Ministry Village at Olive Baptist Church in Pensacola, which was birthed out of caring for their city after a hurricane, or the campus of Transformation Church in Charlotte located in Kershaw Prison. When you engage those next door and around the world, you demonstrate that you care about more than just “your people.” Millennials will then recognize your church as a place they can come and make a difference. Find ways to serve and volunteer in your community—paint hallways and classrooms at a local school, pick up trash, plant a community garden, start a homeless ministry. While millennials are prone to distrusting people, they are drawn to authenticity and honesty. This generation has a deep realization that everyone fails. They’ve witnessed religious figures collapse under the weight of their own hypocrisy. Many of their own parents have let them down with moral failings or divorces. The last thing they want is for a pastor to get up and pretend as if everything is OK. They don’t want to hear from another Christian wearing a fake plastic smile. They want to know how it is you live out the Christian life in this messy world. Do that with integrity and authenticity and they’ll respond. 4. Reach outside your comfort zone. While this will help you reach millennials, the most diverse generation in U.S. history, this also will enable you survive in a future that will be increasingly diverse. For some, that may mean starting off with understanding why the church needs to lead the charge against racism. For others, it means pushing further to reach those in their community. Regardless of their historical make-up, churches should strive to reflect the current diversity of their neighborhood. Seeing an all-white church in an increasingly diverse area indicates that church has failed to reach those around it. In The Millennials, Thom and Jess Rainer point out that about 70 percent of young adults have friends from different ethnic or racial backgrounds and nearly 9-in-10 said they would be open to marrying someone outside of their background. Recognizing how the gospel brings together those who are different into one body, the church should welcome this charge from millennials. 5. Be open to institutional change. Churches are going to have to answer the question, “Do we love our traditions more than our children?” Because this generation is going to want to come in and change some things. They will want to sing different songs. They’ll want to spend less money on internal ministries and more on missions and external projects (see the number four above). Unfortunately, many churches have decided they would rather their services and institutional structure reflect the 1950s than the current context in which Christ has placed them and called them to serve. This is not a matter of changing the historical Christian message, but rather the methodology in which it is presented. Allow millennials to be one of the voices at the table when discussing the way you practice church. Relationships trump everything for millennials. Sixty-one percent of millennials say family is the most important thing in their life. Friends come in as the second most important thing. This should be a natural fit for the church, but too often we rest on what we’ve already done. Churches must start new groups and bring in new people. This generation, more so than any other, recognizes the cultural costs of being a Christian. It’s no longer the cool thing to do. Because of this, they want to walk with others as they follow Christ. Millennials want to pour out their lives into others and find strength in numbers. Churches that provide an avenue for this will connect with this generation. This should be foundational, but too often it isn’t. And many churches unfortunately believe the opposite is true in terms of reaching millennials. Some churches have tried to water down Christian doctrine and deliver Christ-less, self-help sermons in order to reach young adults. The denominations who have done so are not faring well. When Brentwood Baptist Church failed to connect to millennials with their Kairos worship service, they asked what went wrong and were told they needed to preach the Bible more. In every generation, every person needs to hear the gospel and be taught the Bible. But for many millennials, even those that grew up in church, they’ve never really heard it before. Don’t assume a biblical foundation. Preach Christ for millennials and everyone else. Most people, millennials included, are open to discussions of faith and would listen if we shared about Christ. Some of these young adults who aren’t at church right now, may be Christians who simply need someone to show them how involvement with a local body of believers can deepen their faith and enable them to grow in Christ with others. Many don’t know Christ at all, but they are open to having spiritual conversations, even willing to join a small group to learn more about the Bible and Jesus. It will take effort and it will result in changes for many of us, but that is a small price to pay in order to engage a generation with the gospel and draw them into a church family. This is why the liturgical churches near Washington are growing. People are wanting to hear the Gospel read and then explained in a way that they can apply to daily life. Great, great summary! Thank you for your passion for Jesus! Glad you are talking about this. There’s more to learning then a 3 year cycle of sermons and reading; I feel too many pastors get in a rut that deeper every 3 years. Granted some pastors approach the learning with great enthusiasm but for the most part that just is not the norm. What if your church is doing all of these things and millennials still don’t come? Has anyone ever considered the fact that maybe some people are just too hard to please?